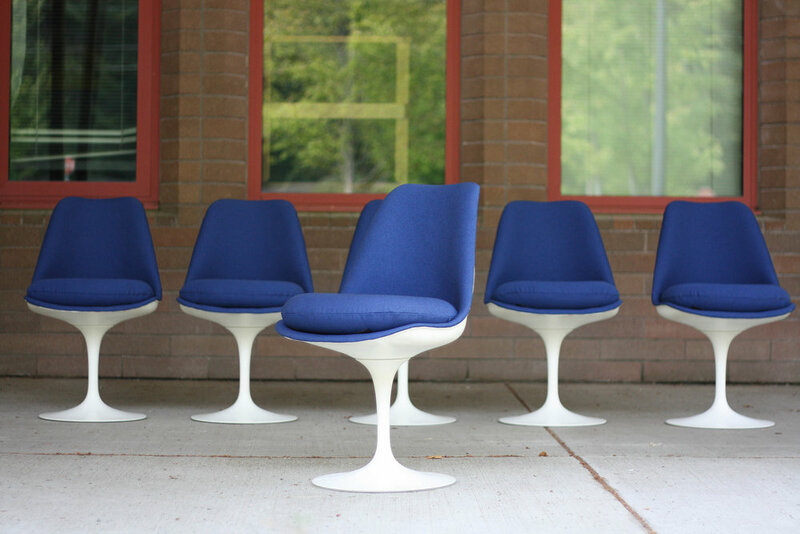 They all retain their original Knoll Associates label which dates them prior to 1968, and they are made of Cast Iron, which is how they were first produced in the 50's before they changed to cast aluminum. The chairs are very heavy and rock solid. They swivel easily and the shells and pedestal bases are in very good vintage shape! Much better than the extreme chipping and wear on most vintage tulip chairs. 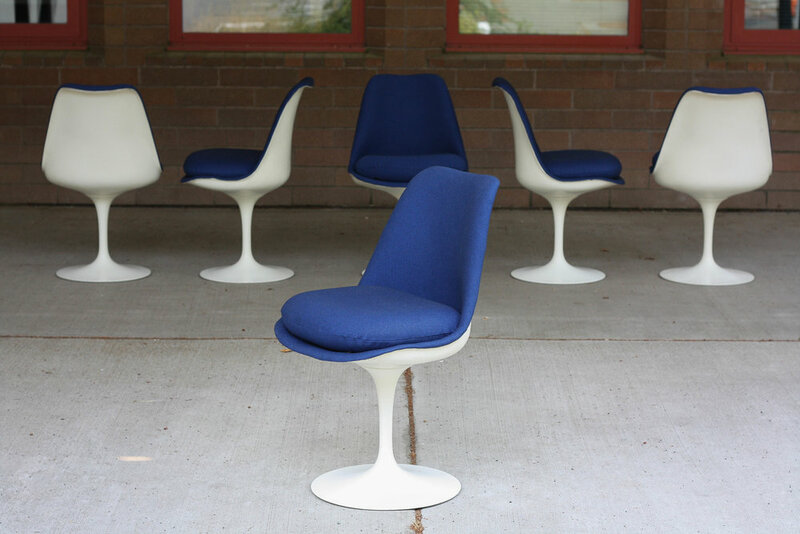 The rich/deep blue upholstery is in excellent shape, foam is soft and they allow a very comfortable sitting experience. 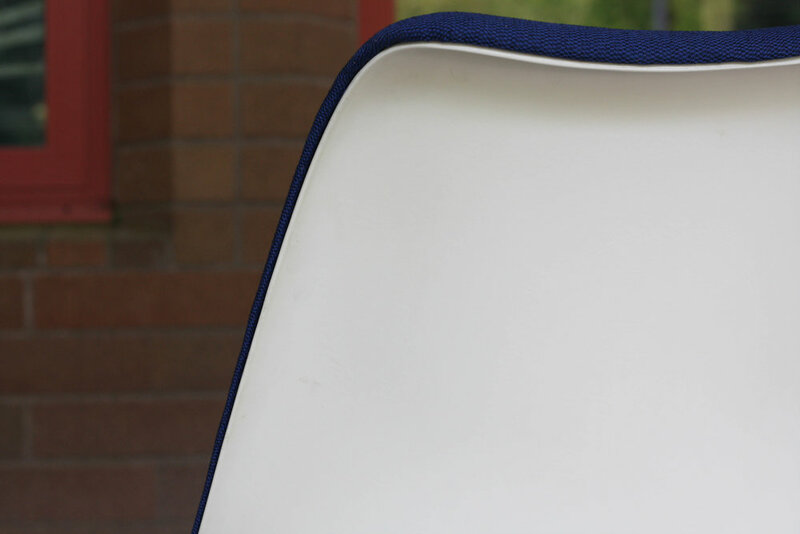 Each cushion is zippered allowing the cover to be dry cleaned in the event of a spill. Check out the photos to assess overall quality and condition.